This month's Fashion Beauty Friend Friday post is all about the trends. Read below for my two cents and then let me know your thoughts in the comments! ♥FBFF asks: What trends hitting stores now are you coveting? That would absolutely have to be anything peplum. I love the peplum silhouette when seen on both skirts and dresses. This is definitely a style that I'd like to add to my closet collection. It's just so feminine. ♥How do you incorporate new trends into your wardrobe? I try to mix any new trendy item with something in my closet that I would consider a staple. Having a new trendy piece gives me a good way to highlight other pieces in my wardrobe. I worked both the mullet skirt and overlay maxi on the Muse and paired them with pieces in my closet that don't usually get a lot of attention from me. ♥What trend are you seeing and not loving? 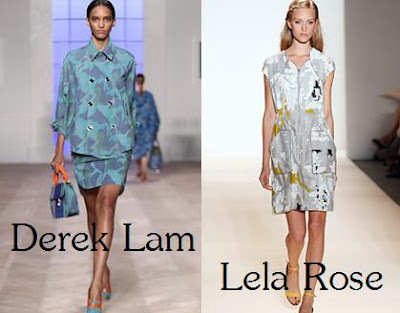 The camouflage trend as seen by Derek Lam and Lela Rose isn't up my alley at all. I'm all for incorporating different and unique styles, but I think camo should stay in the military. ♥Do you feel the pressure to constantly update your closet with the latest trends? No, I definitely don't feel that pressure because I'm not always into trends to begin with. If I see something that I like and it happens to be on trend then I'll pick it up. But I won't spend money on something just because it's in right now, especially if I don't like it or it doesn't work for me. ♥Where do you find inspiration that takes the trend and makes it accessible to you and your personal taste? I definitely find trend inspiration from bloggers and fashion sites. Bloggers really know how to make things work! What are your favorite or least favorite trends? Link up to all the Fashion Beauty Friend Friday posts by Modly Chic here! I'm loving the mullet dress and skirt trend a lot right now. I still adore that mullet skirt you rocked. So cute. i love the structure with the peplum. it can be so fun! i like the mullet skirt! I really like the way you worked the sheer maxi into your look. I have not liked most of the ways I have seen those styled but the longer skirt underneath and the great blazer and jewelry feel fresh and totally your own. That peplum skirt is divine! I really like peplum too! The silhouette is so pretty and flatters almost any body type. I really like how you styled the mullet skirt! I love peplum too but don't own any pieces yet. And I love the mullet skirt. You styled it perfectly! Great post, I am also into the peplum skirts and not a fan of camp clothes. I agree with you on not always following trends! I am a huge fan of skirts - since I rarely wear them due to the weather!! Love the photos and great post! Love the peplum silhouette too! My fave trends are maxiskirts and faux furs! I love that peplum skirt, I'd totally wear that! I have a peplum jacket waiting to be worn soon. Good post. I'm not going to be picky, I love all trends here since I love to play with fashion! :) I really like this post hun!!! Have a great weekend!! Ohh i totally am loving the peplum too. :) Gosh! And yeah...some trends can be pretty disappointing. The mullet skirt is very attractive. I have to say I love your style I must say it's unbelievably gorgeous. One trend that I cannot get into that I wish I could totally rock is the maxi dress :( and that's only because I am a shortie. You look adorable in your variety of skirts! There are so many trends I'm coveting. Can't wait to start!!! I definitely have to add the mullet skirt to my list. p.s. 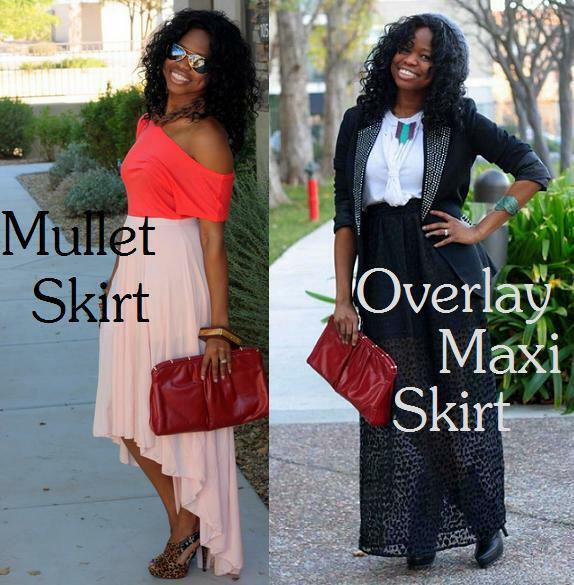 i like your overlay maxi skirt! great post. love the orange skirt with the peplum!